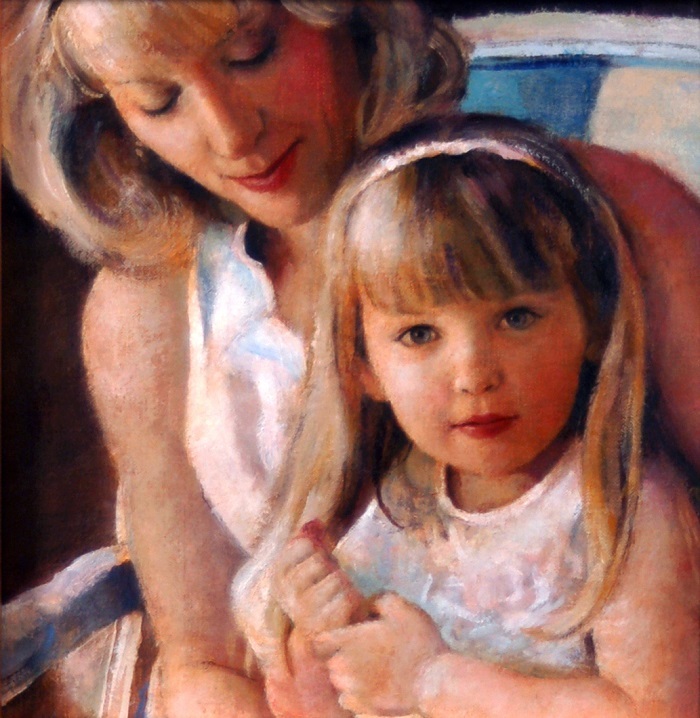 One of my first oil portraits, this painting of my first husband’s wonderful daughter-in-law and her younger daughter is one I still like very much. Sara and Morgan graciously and frequently modeled for me when I was yet experimenting wildly. Morgan was born after her grandpa died. It is sad they never knew each other. She is much like him, which makes me grin.